In Japan’s aging society, amusement parks are struggling to stay in business. 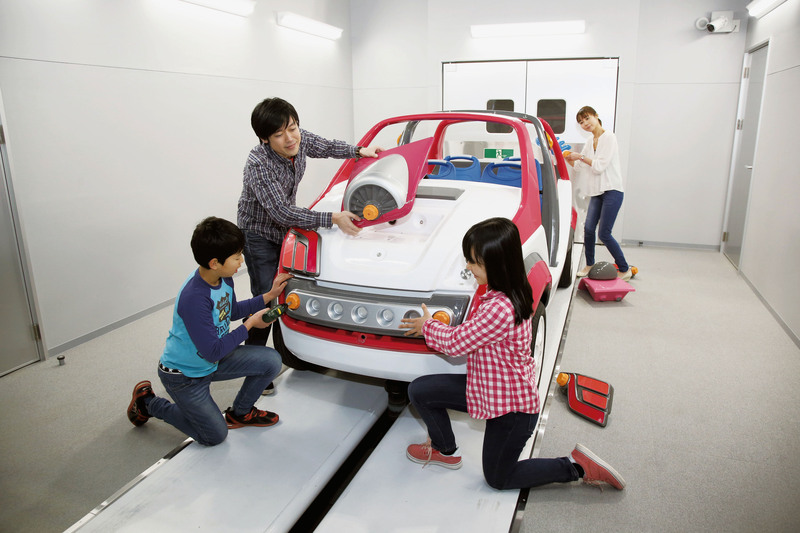 Yomiuri Land in Tokyo is drawing visitors to a new attraction that combines the thrill of carnival rides with the fun of learning about how products ranging from automobiles to foods and stationery are made. The ¥10 billion attraction lets visitors take part in the manufacturing process by operating machinery and assembling parts. They can put together a car and learn how notebooks and fried noodles are made. About seven years ago, Yomiuri decided it wanted a new form of attraction. It picked monozukuri (craftsmanship and manufacturing culture) as the theme. Manufacturers that collaborate in the project get to promote their brands. The 24,000-sq.-meter Gujjoba!! (a name that plays on the English phrase “Good job”) opened in March, featuring 15 kinds of attractions in four factory-themed indoor facilities. They are operated in collaboration with instant noodle pioneer Nissin Foods Holdings Co., stationery maker Kokuyo Co., clothing maker World Co., textile machinery maker Shima Seiki Mfg. Ltd. and automaker Nissan Motor Co.
At the Food Factory, visitors can hop onto one of the Nissin UFO yakisoba (fried noodle) cups on the Splash UFO boat ride and, while fighting villainous characters down a rapid current to protect the factory, see the process of manufacturing and cooking yakisoba. “Now I know how yakisoba is made! I want to ride on it again,” exclaimed a second-grader during a visit in April. At the workshop corner, visitors can even create their own UFO yakisoba, complete with package design and toppings of their choice, for ¥300 per bowl. The stationery section, known as Bungu Factory, is themed on the making of Kokuyo’s popular Campus Note notebooks. A game that requires visitors to push buttons takes them through the seven processes in manufacturing the notebook, such as cutting rolls of paper and applying adhesive. After clearing all the stages, the production line is activated to complete the notebook. 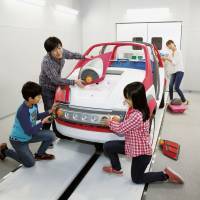 At the Car Factory, visitors can customize a car by screwing parts onto the car body and, when completed, test-drive the vehicle. And at the Fashion Factory, an indoor rollercoaster takes visitors through the process of manufacturing clothes. Yomiuri Land, located in the Tokyo suburb of Inagi, aims to draw 2 million visitors in fiscal 2016, up from 1.7 million in 2015.
amusement park, Nissin Foods, Yomiuri Land, Kokuyo Co.